As time marches on books are seemingly beginning to become a thing of the past. With the technological advances of the new century, text and media is easier to attain than ever before. In this blog, Matt details many different ways that technology in the classroom can be to our use as educators and why it is so important in today's classrooms. In my own previous experience, I have seen the positive effects that technology can have on a classroom. For instance, when I was completing my practicum course at the middle school level, I noticed that there were certain days when students were required to bring the laptops that each of them had received at the beginning of the school year. On those days, the students were required to complete online courses and use a variety of different programs in order to help them achieve their goals for the day. The one thing that Matt points out throughout his blog is that technology in the classroom provides options for not only the teacher but for the student as well and it is true. Giving those students the option to practice their math skills using games or creative learning programs increased their enthusiasm for learning and positively affected their behavior throughout the class period. 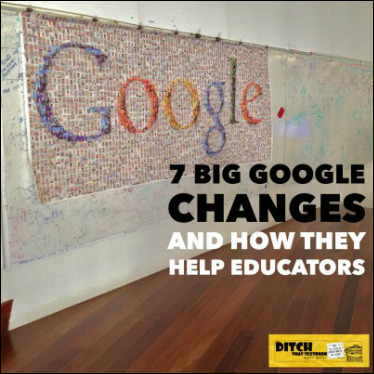 Matt shows teachers some more tools that can use through Google in his post, 7 Big Google Changes and How They Can Help Educators. 1.) Using Google Classroom, you can now schedule something to post days, weeks, or even months ahead! Using this knowledge effectively allows teachers to organize themselves which in turn helps the students maintain organization. 2.) If you are using Google slides to give a presentation, there is now a feature which allows real time Q & A feature that allows you to see a student's question and address it immediately. No more holding your hand up for 15 minutes trying to ask a question! No more forgetting what your question was! 3.) Shared documents are now able to expire which means that once students are no longer using the link that you shared, it can disappear automatically if you would like it to. This means that the online classroom will be less cluttered with information that does not pertain to the unit also saving you time from going back and deleting it all. 4.) As a teacher, you are always exploring the internet, searching for new ways, new tools, and new information to give your students in order for them to excell in the classroom. Now Google is offering a browser extension called "Google Keep". Teachers and students can use this to help them organize their data for research or presentations. 5.) For older students, there is now Google Calendar that allows multiple students, and/or teachers to sync their calendar data together in order to find a time that works for everybody if it is needed. This comes in handy for group projects and for scheduling conferences with parents. 6.) By now you are probably thinking about how great all of this educational technology is but you may be worried about how to use it, correct? Look no further, Synergise by Google is an app that acts as your personal assistant in all of the apps listed above. For students and teachers, this is useful as it will guide them both to mastery level when using these products, allowing for more time spent efficiently working rather than needing instruction reexplained. 7.) As always, we recognize that innovation and technology are usually not cheap items. With that being said, if funding is available and the need is high, there are new virtual reality paint brushes called The Tilt Brush which allows your students to virtually paint and build things encouraging hands on learning and visual aids as well. For me, I really want to be able to incorporate all of these things, and more into my classroom. I wish for my classroom to be digital but also hands on. For myself, organization has not always been my strong point, but now that I am aware of the tools and resources that I have to organize, I can improve in that aspect of my life. Lack of organization from the teacher's end can and will disorganize the students and hinder their ability to learn. Incorporating technology in my classroom will be important because I will be teaching many texts throughout the course of a school year as an aspiring English/Language Arts teacher. Working with high school aged children will give me an advantage also as they will have prior technology experience before entering my classroom. 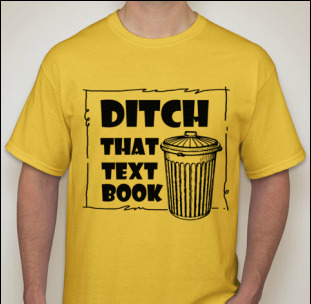 Overall, I believe that I have totally bought into ditching those textbooks and can't wait to hear more about what Matt has to say when I read "Ditch That Textbook".